People have long called for foods which have been produced using genetic engineering to be labeled, so that they can have the information they need to decide for themselves whether or not to purchase foods that may contain genetically modified organisms (GMOs). On July 14, 2016, the U.S. Congress passed a bill which establishes a national system of mandatory GMO labeling. How will foods containing GMOs be labeled? Clear, simple language such as “produced with genetic engineering” will appear near the ingredient panel. Packaging can contain a QR code that shoppers can scan with a smartphone and be directed to a website to learn whether or not the product contains genetically engineered ingredients. Very small companies will be allowed to use a 1-800 number or web address in lieu of a QR code. Manufacturers can opt to display a symbol that is yet to be developed by USDA. What kinds of genetic engineering must be disclosed? USDA will have to determine which foods will be required to be labeled. New genetic engineering techniques are being developed all the time and many of them will be approved for use in food. Some examples of existing and emerging genetic engineering techniques include transgenic, RNA interference and CRISPR-CAS9. As passed, the law does not explicitly state which techniques will require disclosure. 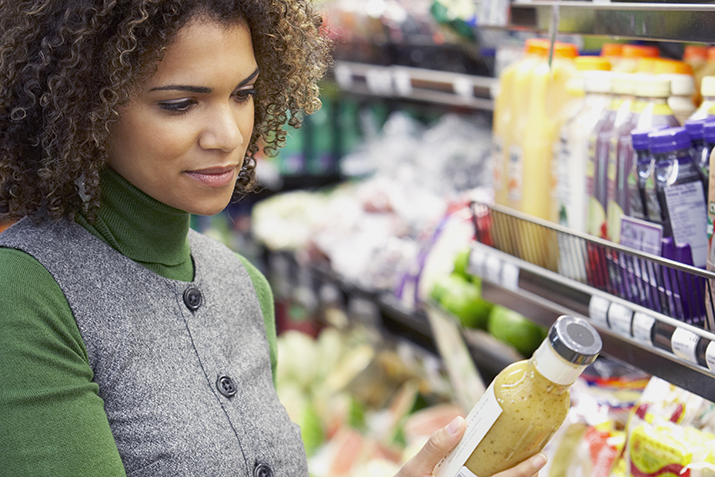 How does the law differ from previous GMO labeling bills? While this law is not perfect, it appears to be more consumer friendly than previous incarnations of the DARK Act, which did not require manufacturers to label foods produced with genetic engineering and could have defined GMOs as “natural.” These earlier versions of the GMO labeling bill were narrowly defeated thanks to the many concerned citizens, farmers and industry leaders who joined forces with key lawmakers to ensure that Congress heard consumers’ call for the right to know what they are eating and feeding their families. GMO labeling advocates, including National Co+op Grocers (NCG) and many food co-ops, made every effort to inform lawmakers about the many reasons why QR codes (option 2, above) are often impractical, inconvenient or inaccessible for shoppers to use. NCG will continue to encourage manufacturers to print a clear disclosure on the package so that all people, whether they have access to a smartphone or not, can know at a glance whether a product contains genetically engineered ingredients. Throughout USDA’s two-year rulemaking process, consumer organizations will have opportunities to weigh in on which techniques will qualify foods as “genetically engineered” and precisely how USDA will administer each of the three labeling options. Read more about food co-ops’ comments to USDA. People who wish to avoid foods produced with genetic engineering can look for the USDA Organic label. By law, organic certification prohibits the use of genetically engineered seeds.